After many years of experience we highly recommend a builder who can offer a credible third party guarantee. No matter how much homework you’ve done, building a home carries a level of exposure that, while it can be managed and mitigated, it can’t be completely eliminated. For example, we never know for sure what could go wrong until it does. And you are paying for something in advance - for a home you have seen only on paper. In most instances you will be required to secure through your builder a third party guarantee. A third party guarantee is simply a guarantee offered through an independent body or insurer. 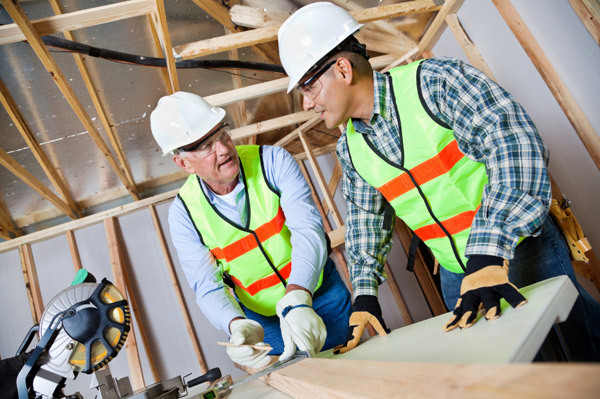 Registered Master Builders Federation* and Certified Builders Association's Homefirst and Builtin guarantees both offer comprehensive protection. You need to view their websites for additional cover information. Several larger building company guarantees have also been accepted by NewBuild. *If your total deposit is less than 20% of acquisition price (house and land) your Master Build Guarantee must be the PREMIUM guarantee. With greater than 20% deposit, NewBuild recommends the same guarantee but does not mandate this. Your loan offer may require you to ensure your builder can provide this guarantee. You also need to ensure your guarantee is in place BEFORE you pay the unconditional deposit to your builder to ensure your deposit is protected. When you have only an equity deposit (your deposit is in the value of the land) and where NewBuild will be making a deposit payment on your behalf, we will only make that payment once your guarantee is in force.